HomePunching Teachers in the Face – a New Low in Presidential Politics. Punching Teachers in the Face – a New Low in Presidential Politics. Chris Christie wants to punch me in the face. I’ve never even met the man. I don’t even live in New Jersey! But in an interview, the Republican presidential candidate told the media that the national teachers union deserves a punch in the face. Gulp. I guess that means me. After all, I AM a public school teacher. I DO belong to one of those nefarious teachers unions. I must deserve it. My colleagues – most of whom are women – and I must be asking for the NJ Governor to bop us on the nose. Well come on, Governor. Hit me with your best shot! One day historians may look back on Christie’s statement as a new low in electioneering. And this campaign season, that’s really saying something! A candidate from one of the major political parties actually thinks threatening teachers with physical violence will gain him votes. Look at it from his point of view. Christie is one of 17 Republicans running against each other for the party’s nomination. The first GOP debate is coming up and they’re only going to let the top 10 Republican candidates participate. And Christie’s popularity is low enough that he might get left out in the cold. What’s a guy to do? Well the frontrunner, Donald Trump, earned his lead by saying the most outrageous things he could think of – namely that Mexican immigrants are rapists and thieves. And – WOOSH! – up went his poll numbers! Mike Huckabee compared the Iran deal to the Holocaust and watched his poll numbers rise, too. Heck! If it worked for them, might as well try the same thing, Christie style! Let’s punch teachers! This is strange for two reasons: (1) the governor of a populous state is actually resorting to the schoolyard rhetoric of an 8-year-old to characterize his presidential policy, and (2) who he’s targeting. Can you imagine a U.S. President – not a candidate but a duly elected Commander-in-Chief – speaking to the nation this way? But notice that Christie isn’t talking this way about Welfare, Immigration or Abortion. As usual, he’s saving his most bitter rancor for teachers. Can you imagine him speaking like this about any other public employee? Would he challenge postal workers to a knife fight? Would he threaten to pistol whip firefighters? Would he dare promise to drop kick police officers? No way! For some reason educators really bug him – always have. He has a reputation for shouting down and bullying teachers in his state. A psychologist might easily look at Christie and say he’s overcompensating. A 52-year-old who probably couldn’t beat up an egg with an egg beater continues to talk as if he’s a street tough. A grown man who is still apparently intimidated by people with any kind of learning or book smarts continues to attack education and educators. It would be pathetic if the stakes weren’t so high. Ultimately the success or failure of such tactics is up to the voters. Do they really want presidential candidates to talk this way? Once upon a time, politicians ran for office based on what they were going to do for you once they won. Now they generate as much contrived reality TV drama as they can in the hopes this will get a nation of couch potatoes to go to the polls. But it was never real. It was always pre-packed, pre-planned, pre-arranged crap that could only exist because we pretended that’s how people really act! Now that’s how we run for president. We used to have Kim Kardashian, Kate Gosselin and Snookie. Now we have Donald Trump, Mike Huckabee and Chris Christie. Cynics say these kinds of shenanigans will just serve to make far right ideologues like Jeb Bush look increasingly rational because they have more self control. But I wonder if these are really optimists. Given the choice between the fake adult and the clown, the public may pick the clown. Politics may really have sunk that low. If only we had spent more time listening to our teachers instead of punching them. NOTE: This article also was mentioned on Diane Ravich’s blog and published in the LA Progressive and on the Badass Teachers Association Blog. I hear the TEAGOP debates are being immoderated by Jerry Springer. Christi is allowed to threaten teachers with physical violence, but what would happen to a teacher who publicly threatened him? Threaten teachers with physical violence? Ha! I must have missed that part. How do you punch a labor union in the face? By starting with the definition of “labor union”. There you have it. Christie said he wanted to punch the teacher’s labor unions and according to the definition, a labor union is an organization of workers. Therefore, if he wants to punch a labor union, he will have to punch all the members, who in this case are teachers. My suggestion is to give Christie what he wants. If he refuses to do it, then the teachers’ unions must go to court and seek to force him to punch every teacher in the country in the face, because the only way he’s going to get to punch the teachers’ unions is to punch more than 3 million public school teachers who are the unions. Teachers’ unions by extension are the members because labor union are democratic organizations where the members vote in the leaders who represent them—or like all democracies represent the majority who voted them in. Maybe we could compromise and just let Christie punch the faces of all the Presidents of all the teacher’s unions—-between 15,000 and 16,000 of them. We could even arrange each school district to stage a pep rally with school bands playing. Christie is escorted on stage where he punches the face of the local teachers’ union president—mostly older women—in front of the students of each school where that union president works. In fact, labor unions are basically the same as a democracy like the United States where the people vote in most of the elected government that represents them, and when countries go to war with each other, those countries don’t wage war on just the leaders or the name of the country which would be like declaring war on Hollywood and only bombing that famous sign on a hillside. No, they wage war against every citizen in the country they are fighting. For instance, when Nazi Germany declared war on the United States on December 11, 1941, they didn’t just declare war on the abstract name of the United States, they declared war on the entire United States and that included all of its citizens. When Christie said he wanted to punch the teachers’ unions, the logic follows that he wanted to punch everyone who was a member of those unions because the union is the members just like the United States is the citizens of that country. ISIS and al Qaeda aren’t just out to destroy the name of the United States. These terrorist organizations have declared they want to kill every man woman and child who is a citizen of the U.S. When the United States was bombing cities in Germany and Japan during World War II to defeat those two countries, those bombs were hitting innocent children, women and men who were not in the military and who were not the leaders of those countries. What Christie said is no different. When Christie said he wanted to punch the teachers’ unions, it’s possible that he wasn’t aware of what he was declaring. 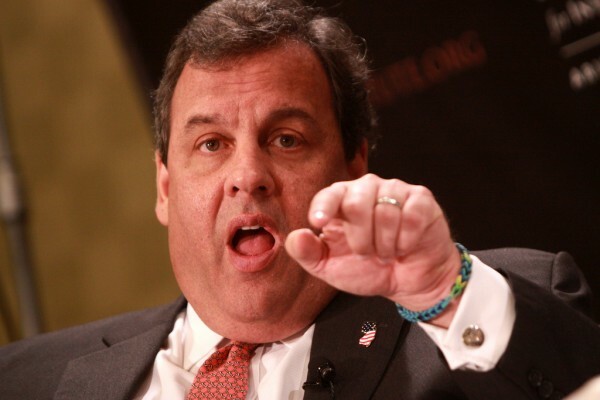 Since it takes one to know one, Christie must be correct about labor unions being bullies. Maybe he should start by punching himself in the face. I’ve lived long enough to know that some members of government can be bullies and throw their power around. I’ve lived long enough to know that corporations can be bullies and I have been at the receiving end of that abuse and fought back and beat them more than once. In fact, I’ve had to stand up to more than one abusive corporation. I was married to another teacher who was bullied by an elected school board president in addition to district administration and the schools principal. With the Teachers’ union to fight for her, they would have fired her because she wouldn’t change the grade of the school board president’s son form a C to an A so that child could end up on the honor roll. I had to step in to put a stop that abuse too and the school board president and district administration was smart enough to know better than to push me to hard so they backed off. As a teacher, I experienced administration bullying me personally and witnessed administration bullying other teachers. But not once in my life have I experienced or witnessed a labor union bully me or anyone I knew who belonged to a labor union including my father, who worked in construction. He operated heavy equipment like bulldozers, etc. If you dislike teachers unions you must also dislike democracy since teachers unions are democratic organizations unlike corporations that only represent the few members of the 0.1% who own most of a company’s stocks. My father was a member of a labor union. Until he landed that union job, we lived in poverty. Then I belonged to a teachers’ union for thirty years and that union protected me when was being harassed by administration, but the teachers’ unions never told me how to teach or what not to teach or how long I spent each day doing my job. Since I have never been bullied by a labor union, and I don’t know anyone who has, who are the labor unions bulling—corporations, CEO’s, bully politicians like Governor Christie, and do these powerful people with money to burn consider the labor unions bullies when they won’t go along with what the CEO’s and politicians want? Yes, administrators can be bullies as can corporate leaders. Teachers themselves can be bullies. I, too, have anecdotes about bullying. I’ve seen union leaders threatening teachers who refuse to “work to rule.” I’ve personally been bullied about displaying a bumper sticker on my car in support of a GOP candidate. I’ve been ridiculed for failing to support union ideology. One need only look to Wisconsin to see some of the bullying tactics of teachers unions. But again, please explain to me how essentially being forced to join a union is democratic. Why are teachers forced to pay the union an “agency fee” if we don’t want to be part of the union? Why can I represent myself as an individual? One reason I oppose public unions because no one represents the taxpayer at the table. Private unions are different- they negotiate for a piece of the profit. A public union will never, ever oppose a hike in taxes. Instead, unions “sell” their endorsement to politicians who will vote to send more money into the system. That’s not very democratic. I have no personal experience with teachers in the California school district where I taught for thirty years being forced to join the local CTA union, and there were a few teachers at the high school where I taught the last 16 years who refused to join and did not pay dues. But most did. EVen a few who wanted AFT and not CTA/NEA. I remember other teachers who paid dues arguing with this one teacher accusing him of benefiting from the unions efforts to negotiate higher pay and benefits and him not paying dues. In fact, the administrators were paid based on what the union negotiated for the teachers but the administrators did not pay union dues because the pay scale in the district for admin and teachers was linked to a formula. If teachers got a raise, administrators got the same percentage. In addition, I knew teachers who taught at the same schools where i taught who were conservatives. I knew a few who were Tea Party conservatives and listened to Rush Limbaugh. No one bullied them. So your own experiences do not match mine. With more than 3 million teachers and 15000 public school districts, do you really think that they all of the teachers expedience the same things you claim? Do you pay taxes? Do you approve of everything the state and federal government does with those taxes? I don’t but I pay anyway because I don’t want the IRS taking everything I own away from me and making me homeless, and the IRS is not out to negotiate higher pay and benefits and offer some support from being bullied by administration. The IRS is a bully. I support your right to think what you want, but I don’t respect what you think. I’d rather have a supportive union there than than not have union support. With the union, teachers at last have a chance at someone in their corner with the corporate and administrative bullies show up to make life difficult and they will show up. Working with underprivileged, remedial students trying to succeed. Do you think Christie would come alone? He’d arrive with a squad of bodyguard goons who would stand against the walls glaring at the kids to intimate them. The first kid out of line, would probably get tasered or punched in the face and then dragged from the room feet first with their head bouncing off every obstacle encountered..
Then all the other kids would fall int line fearing they’d be next. Christie is a bully and he will apply bully tactics to win. The fools who listen and agree with a Christie will discover out how horrible life will become when there are no labor unions but the media will not be the place that will tell them. While most of the people are finding the quality of life going down hill at a fast pace, the media will keep telling them how great they have it. You have to realize that as crass and unpolished as Christie is in his delivery, and despite his track record of speaking to even his own constituency like a spoiled a-hole when challenged…he gets a semantic “out” of this one. Oh no, he wouldn’t punch you teachers in the face…he loves you when you shut your damn mouth and do what you’re told…like those nice ones in the exclusive schools his kids would go to. It’s the UNION he wants to punch…that faceless death star that dares to unite dark forces against the purity of the Jedi masters trained and empowered with the reform. Master Duncan once said of young Christie: “The reform is strong in that one”, but there has been concern that Emperor Trump has been swaying young Christie with the temptations of the dark side of the reform. Time will only tell, I suppose. It was a metaphor. As a teacher, I have said a few things that were misinterpreted too. He was just saying that the teacher’s union needs a shake up. His opinion, that’s all. Relax and don’t vote for him, but as educated professionals, you should see that this was merely a badly used figure of speech!! No, KC. He wasn’t saying the union needs a shake up. He was using violent imagery against a group of people over which he has immense control and is trying to gain more. And he was doing it as a way to court voters. This wasn’t a slip of the tongue. He has a history of talking this way about and to teachers. It’s a pattern of abuse and bullying that he thinks will appeal to Americans. The question remains whether the public really believes in this kind of anti-intellectual propaganda or not. Except he did no such thing. Matt, he said he wanted to punch the national teachers union in the face. Yes, the union is an abstract concept. You can’t punch a union just like you can’t punch “freedom” or “Democracy.” However, unions are made up of people. Unions do not have a face to punch, but people do. By extension he is implying a desire to punch union members, people, in our faces. It’s a violent image he used purposely to characterize his stance against teachers. Don’t give him a pass. He’s a public figure running for president. Hold him accountable for the words he uses and has been using for a long time in relation to teachers. That’s a terrible inference. His use of figurative language in no way implies that he wants to punch union members in the face. The implication is that he will aggressively oppose teachers unions and what they stand for. Nothing more. Was it inflammatory? Sure. Do unions themselves often use inflammatory rhetoric. Yep. All I have to do is look at the glossy propaganda from teachers unions sent to my mailbox during election season. Words matter, Matt. Those are the ones he chose. To my knowledge the NJEA has never sent in a flyer saying the organization wants to punch the governor in the face. You’re just playing games here. This is football for you and Christie is your team. You’re blinded by political loyalty. I get that words matter. I’m an English teacher- words are my business! I agreed that his language was inflammatory, meant to get a reaction. But it’s absurd to say Christie was threatening violence. He was speaking figuratively. Christie said that the teachers unions are like bullies and the best way to stand up to a bully is to punch him in the mouth. And yes, political ideology certainly affects my judgment, as it does yours. You included snarky comments about Trump, Huckabee, and Bush. In fairness, more than political loyalty, my dislike of teachers unions affects my interpretation. I’m not even close to figuring out whom I’m going to vote for yet. Chris Christie should have a conversation with former NY Senator, Al D’Amato. He picked a fight with NY State teachers because he had no other platform to run on. Sound familiar Governor Christie?